Please type your desired tags, e.g. Microbiology, Molecular Biology, Cell Biology, Fibrosis, Physics, Molecular Evolution, ChIP-seq, Business Communication, Gerontology, Intimacy, Social Studies Education, Trope of monstrosity in literature and film, Identity and Selfhood, LGBTQ literature, Continental Philosophy, and etc. A cognitive psychologist by training, my research interests fall in the general area of nonverbal cognition with specific projects focused on: (a) human aging and memory, (b) long-term memory for faces, (c) perception of faces, (d) eyewitness memory, and (e) music cognition. My current NSF grant (with Jean Searcy and Amina Memon) supports a project on eyewitness testimony by young and old adults and has a combined theoretical and applied orientation. New research initiatives include neuroimaging of face recognition and relations of normal and pathological aging of human memory. Aging and false choosing: The effects of delay and face age on accuracy. 2000–2000	Memon, A., Rose, R. & Bartlett, J. C. Poster presented at the Eighth Cognitive Aging Conference, Atlanta, Georgia, April 26-29, 2000. 2002–2002	Bartlett, J. C. Holistic and featural face processing. Invited presentation at the Meetings of the Southwestern Psychological Association, Corpus Christi, TX, April, 2002. Conjunction Errors in Face Recognition: Are They Due to Unbound Features? Dissociable effects of familiarity and nameability in memory for faces and melodies. 2006–2006	Bartlett, J. C., Halpern, A. H. & Birchfield, J. D. Paper presented at the 47th annual meetings of the Psychonomic Society, Houston, Texas, November, 2006). 2000–2000	Bartlett, J. C. Adult age differences in false recognition of faces: Laboratory and eyewitness identification tasks. Presentation at Symposium, Perceiving and Remembering Human Faces, held at the 108th annual meeting of the American Psychological Association, Washington, D.C., August, 2000. Organizer (with T. Tighe), Symposium on "Normal and Pathological Aging of Human Memory" at the meeting of the American Association for the Advancement of Science, Chicago, February, 1987. Organizer (with B. Moore), Symposium on "Face Recognition by Computers and People" at the meeting of the American Association for the Advancement of Science, San Francisco, February, 1993. Organizer, Symposium on "Memory for Faces" at the International Conference on Face Processing, Cardiff, Wales, Sept. 23, 1993. Organizer, Eighth annual meeting of "ARMADILLO" (an organization of cognitive psychologists in Texas and neighboring states), May 23-24, 1997. Co-organizer and member, executive program committee for "ARMADILLO" (an organization of cognitive psychologists in Texas and neighboring states), October, 2002-present. Editorial Board, Motivation and Emotion, 1994-1999. Since completing my Ph.D. (Yale, 1975), my research and scholarly activities have focused on: (a) theoretical and applied aspects of human perception and memory for complex, multi-faceted objects and events including human faces, visual scenes, and melodies, (b) normal and pathological aging of perception and memory, and (c) the role of affect in perception and memory. My most recent articles concern the brain processes involved in perception and recognition of faces, reliability of eyewitness testimony in old age, and aging memory for faces and music. These various strands of my research are tightly intertwined. For example, a recent project on aging and eyewitness identification was supported by the National Science Foundation examined how age-related deficits in laboratory tasks of nonverbal memory may extend to the real-world task of identifying suspected perpetrators of crimes in the lineup situation, and whether tests of neuropsychological dysfunction can be used to distinguish unreliable eyewitnesses. Another project supported by the National Institute on Aging, has examined how expertise might moderate age-related declines in cognitive function, taking music as a model domain in which expertise (training) as well as age of participants both can be examined. Another project is focused on how piecemeal features and configural information contribute to correct and false recognition of faces. This work uses a variety of behavioral paradigms and, most recently, brain-mapping (SPECT, fMRI) techniques in conjunction with neural network modelling. This work involves collaborations with a number of individuals, including Herve Abdi, James Jerger, and, more recently, Dr. M. Devous, Sr., of U.T. Southwestern Medical Center at Dallas. My teaching interests include Introductory Psychology, Cognitive Psychology, Cognitive Science, Learning and Memory, Human Aging and Cognition and Behavioral Research Methods. I am an active contributor to the academic community, having recently served as Associate Dean of the School of Human Development and Dean of Graduate Studies and Research at U. T. Dallas. I was recently elected chair of the University of Texas System Faculty Advisory Council, an active group of faculty from all U.T. System components who advice the Chancellor and Board of Regents on matters pertaining faculty quality, faculty governance, academic affairs and health affairs. Acting Head, Programs in Psychology and Human Development, June-August, 1978. Member (elected), UT Dallas Academic Senate, 1978-79, 1980-83. Member, UT Dallas Institutional Review Board for Research Involving Human Subjects, 1976-1984. Member, UT Dallas Committee on Teacher Education, 1980-83. 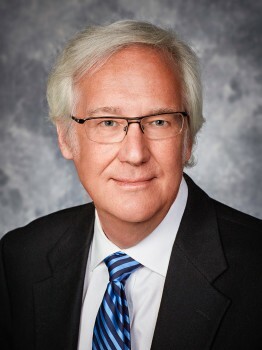 Chairperson, Search Committee for Dean, School of Human Development, UT Dallas, 1981-1983 (successfully recruited Dr. Thomas Tighe, formally of Dartmouth), and 1988 (successfully recruited Dr. Bert Moore). Chairperson, Graduate Affairs Committee, Program in Human Development, 1981-1983. Member, UT Dallas Committee on Qualifications, 1984-1986. Chairperson, Language and Cognition area of Ph.D. Program in Human Development and Communication Sciences, 1984-1987. Member, UT Dallas Accreditation Self Study Graduate Program Committee, 1986-1987. Member, UT Dallas Committee on Student Life, 1986-90. Member, UT Dallas Committee on Educational Policy, 1989-90. Chairperson, Committee for new M.S. program in Applied Cognition and Neuroscience, 1987-89. Associate Dean, School of Human Development, 1989-1992. Dean, Graduate Studies and Research, University of Texas at Dallas, 1992-1994. Chairperson, UT Dallas Committee on Educational Policy, 1994-96. Speaker (elected), UT Dallas Academic Senate, 1996-1998. 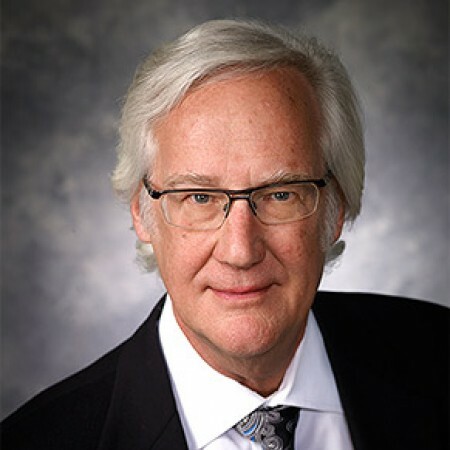 Member, University of Texas System Faculty Advisory Council, 1994-present (Chair, Subcommitee on Faculty Quality, 1999-present). Chair, University of Texas System Faculty Advisory Council, 2004-5. Secretary, University of Texas System Faculty Advisory Council, 2006-present. Chair, U. T. Dallas Committee on Faculty Standing and Conduct, 2005-6. Dr. James Bartlett, professor of cognitive neuroscience and cognitive psychology, has been named interim dean of the School of Behavioral and Brain Sciences (BBS). The school also has added three tenure-track faculty members to its ranks, two of whom focus on hearing and a third who is an expert at computational psychiatry. Each is expected to bring expertise that will help bolster the school’s academic and research programs. Bartlett fills the role that had been held until recently by Dr. Bert Moore, who stepped down as dean after nearly 27 years. An Ashbel Smith Professor, Bartlett serves as program head of the PhD program in cognition and neuroscience. He also is a Fellow at the Center for Vital Longevity. Paul Snelus (1977), Kathryn Long (1977), William C. Fields (1979), Alexandria Doyle (1979), James Porter (1980), Morti Gernsbacher (1980), Carol Spencer (1980), Georgia Burleson (1980), Wesley Regian (1982), Kathleen Kirby (1982), Therese DeNeal Wallace (1982), Rosemary East (1983), Marie Juneau (1984), Karen Hoppens (1985), Annette Fulton (1986), Mary Turner (1986), Michael Quinn (1987), Kevin Weaver (1990). Fola Fagbemi (UT Dallas, 1987), Cynthia Sprague Hardesty (University of Texas Southwestern Medical Center, co-chair, 1989), Chris Sheldon (University of Texas Southwestern Medical Center, co-chair, 1990), Lueda Amerine (California School of Professional Psychology, 1990), Annette Fulton (UT Dallas, co-chair, 1990), Jean Searcy (UT Dallas, 1993), Kathryn Sue Byrd (UT Dallas, 1995), Deborah Atkins (UT Dallas, cochair, 1996), Gerald Epling (UT Dallas, 2000), Amanda Seipel (UT Dallas, 2002), Nicholas Furl (UT Dallas, 2004), Ann Medley (UT Dallas, 2007).